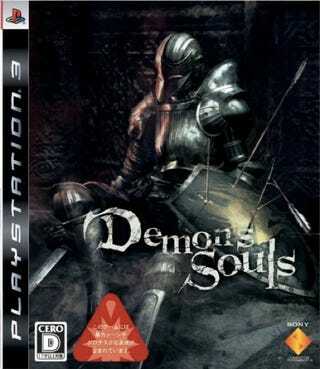 It's not confirmed, but a Demon's Souls sequel would seem like a no brainer, especially considering the attention the game got. As web forum NeoGAF points out, a podcast from Japanese gaming news source Dengeki hints that a sequel for a challenging and hard game released last year would be coming out this fall. The game is said to have very "interesting" gameplay systems. Sounds like... Demon's Souls! This is not official confirmation, however. It is from Dengeki, would could be hinting as information it has under embargo or something. Word on the street is that Sony signed a first look deal if developer From Software made a sequel. The game is a PS3 exclusive and Sony Computer Entertainment published the title in Japan. Apparently, From Software was relentless in its refusal to bend to Sony's suggestions to change game play, save system and make the title easier. Rumor has it that nobody thought the game was going to be the sleeper hit it eventually became, which is why Atlus, not Sony, distributed the game in North America. The game was a hit. And if rumors are true, Sony has a first look at the sequel. If there is a sequel and From Software doesn't or isn't able to develop the title, then we'd imagine Sony would farm it out to an in-house developer. Actually hope that Dengeki Online is not hinting at Demon's Souls 2. Fall 2010? Wouldn't that be rushed?